I personally believe this is all about having either a positive or negative mindset or it is a state of mind, decision or an indecision. 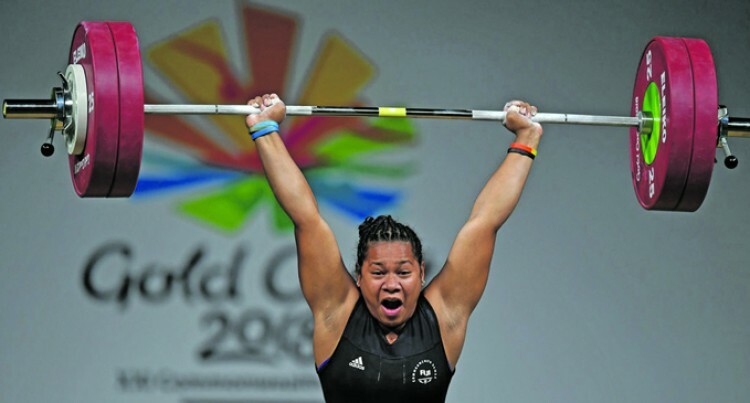 FASANOC and Weightlifting Fiji administrators are no doubt the central figures that caused this dilemma in letting gold medal prospect, Eileen Cikamatana, slip through their grasp! It is indeed very unfortunate. The very fact that Australia has granted her permanent residency (PR) confirms the difference in the calibre of Australian Sports administrators over Fijian administrators. As with most sporting bodies here in Fiji there is not enough emphasis given to our sports men and women. The statement by FASANOC president, Joe Rodan Sr, that “we cannot do much” is not only a lame excuse, but it is also a rather vague statement to make, considering what Australia has just done for Eileen. They have granted her the very support she needs for a very promising sporting career. The only thing FASANOC and Weightlifting Fiji did for Eileen was slam the door in her face! There will always be issues as such to deal with and it is extremely important that the ultimate focus is on the sportsman or woman, and not on the administrators. Fiji’s loss here is certainly going to be a golden Australian gain! The spiritual cleansing by the Tikina Vitoga from Lautoka brings interesting thoughts to the fore as reported in the Fiji Sun on 23rd February on page 03. One can see tabua, a golden cowrie, assorted cowries, a pig’s tooth, tanoa, tables, mats etcetera with other items associated with witchcraft, voodoo, black magic, drodroti or vakadraurau. I do not believe in witchcraft and I do not understand how this dead items listed above can be used as a vessel to send those demonic powers to serve the purpose destined for by these drama kings or queens performing the act. I guess this is similar to religion, one has to have the faith or belief in the ritual where they involve the physical and the spiritual being. The burning of the artefacts is psychological and physical evidence only. But, the devil lives on in our midst and burning of these artefacts does not necessarily eliminate the practice, belief, culture and the trauma from the curses of the past. For the devout Christian believers this is all about prayers to the almighty and doing the right thing by one’s self first. However, congratulations and vinaka vakalevu du riki to the churches and the vanua of Vitogo for showing the way. Curse is a spoken word which carries special powers and will only materialise with the one who believes in its significance. I respond to Dharmendra Kumar’s letter in this newspaper on the above topic (FS 24/2). Let me remind him that all religious beliefs have a way of dealing with future uncertainties. In the Hindu religion, it maybe karma and dharma.In Christian faith, you labour in vain if God isn’t in the equation. I’m sure the Muslim faith has one equivalent too. In Christian faith, there is a day of birth and a day of death. Nothing is infinite. An online petition created by a gentleman named Allen Lockington is gravely misleading the people of Fiji. The petition also contains misleading pictures of the gardens itself, which has nothing to do with the proposed site. The site is the large carpark that is usually always empty and the idle grassland beyond it. The land will be leased and developed by the Indian Government, but will still belong to the State. I urge Allen Lockington to stop misleading the people of Fiji with, well crafted, but false theories. I guess both have cut down the exemptions on trucks …. for those little extras that made the truck operators survive. And to make the matters worse … some truck drivers are still cheating the system and loading above legal weight. No level playing field at all. Either the truck drivers/ operators are too smart and use the route where LTA is meaningfully not present or the LTA officers are bribed on the roads to see the load through. Either you use Suva to Savusavu route or worst case … Natovi to Labasa route. Some trucks load above legal loads and reach their destinations without LTA in sight or meaningly not in site. Call me on 9955178 and I will tell you the trucks that overload. I will also tell you which of your LTA officers turns a blind eye and why. I guess everyone needs money.